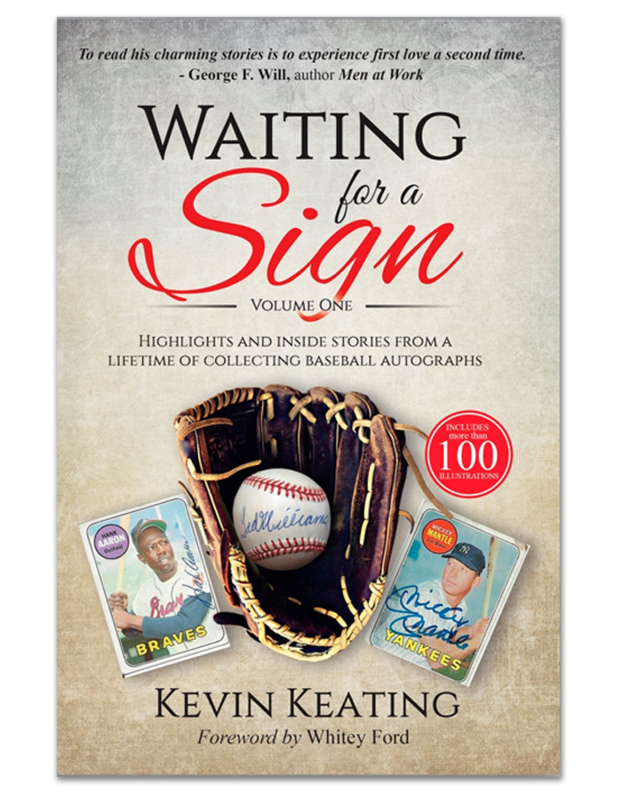 I know Kevin Keating as an expert on Babe Ruth autographs – maybe the expert – but after reading Waiting for a Sign it’s clear that he’s a lot more. Not only does he love baseball, but he has quite literally written the book on how to get autographs from celebrity ballplayers. While Waiting for a Sign is full of colorful anecdotes about his many interactions with some of the greatest names ever from the sport, it also serves as the consummate guide to the science behind obtaining autographs and building a collection. And Kevin has certainly done that. His book is a wonderful read that is full of history, nostalgia and entertainment. For a guy who also writes about baseball, what I particularly liked was how his book goes below the surface to reveal the little boy who is in every man. "Heartwarming…delightful…entertaining. 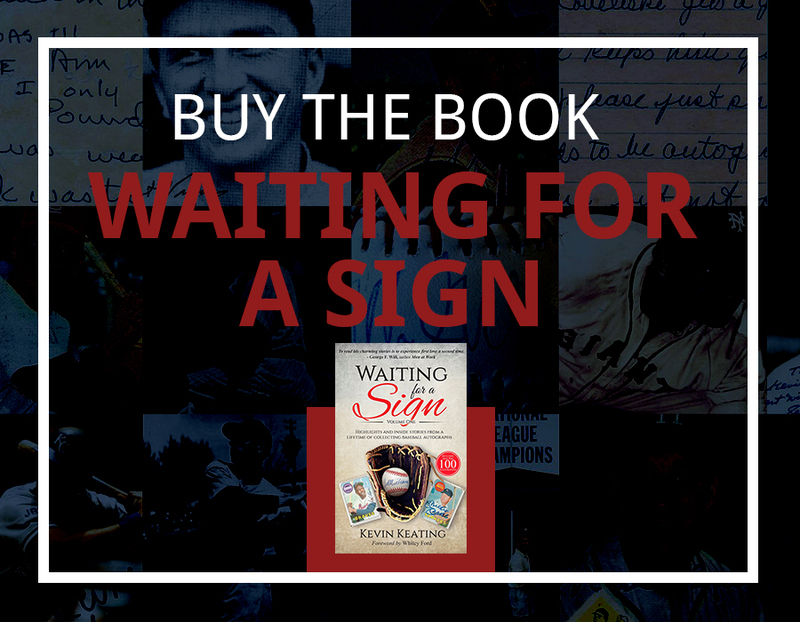 Waiting for a Sign is a collection of engaging true stories, launched by the youthful desire and courage of fourteen-year-old Kevin Keating, as he waits outside a downtown Chicago hotel to obtain autographs from major league baseball players. More than the simple chronicle of a hobby to collect names on a baseball, each of his encounters brings unique, captivating and never-heard personal accounts of his interactions with baseball legends. 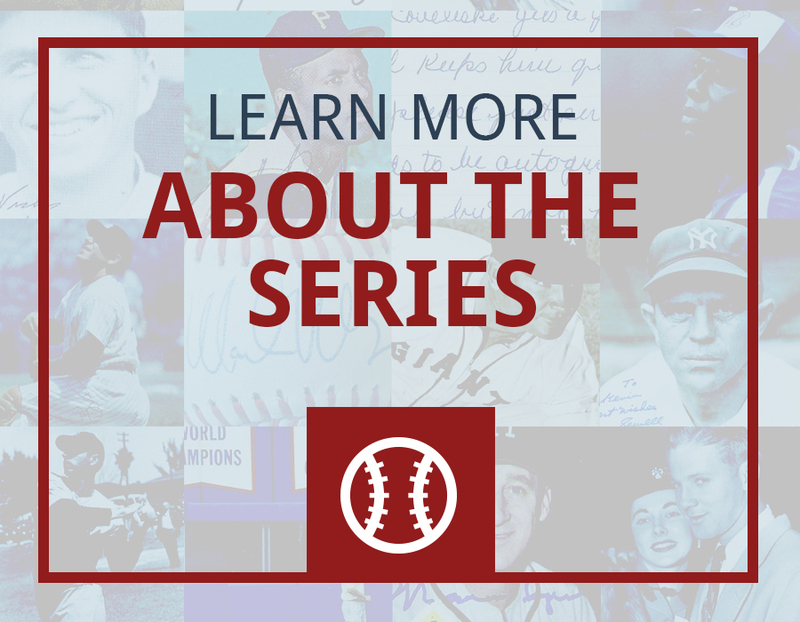 In each story, you’ll smile, you’ll laugh, and you’ll marvel at this journey that has led Kevin Keating to become America’s foremost expert on baseball autographs. This is the perfect book for baseball fans of all ages and also a wonderful story for those who just like a good read." 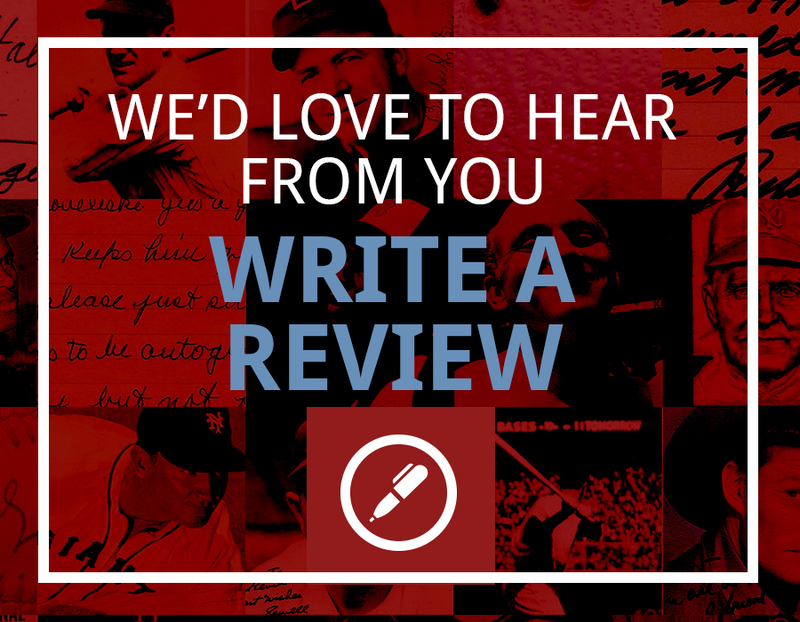 "Kevin's absolute passion for baseball goes so far beyond mere fandom. He is a true historian. His love of the game is so pure that all these guys LOVED talking to him and sharing their stories. There is something of that little boy waiting outside of Wrigley Field for another chance encounter with his heroes that is so present in every story of this wonderful collection. Really delightful!" "Waiting for a Sign is a great read and provided me with a view of key players that had been missing from my perspective of the game. Kevin’s descriptions of his searches for and finds of autographs and other memorabilia of the game were both entertaining and instructive to this novice! His approach humanized the players, and at the same time, emphasized their unique contributions to the game and their communities! I am looking forward to the second book!" Lee W. Gentry, Lieutenant Colonel, USA-Ret. “Go Rockies!" "The game of baseball exists somewhere between pageantry and mystery in American psyche, and half the fun is trying to understand why the game strikes such a personal chord in all of us. At first glance, Waiting for a Sign may seem like just another devoted fan's attempt to explain the appeal, but much like his subject, author Kevin Keating is an American original. Few observers have had such intimate access to so many of the game's big personalities, and fewer still are able to tell us about these men with such infectious love and respect for the game. Reading Waiting for a Sign will make you want to cheer because it's so winning." Drew Goodman, television play-by-play broadcaster for the Colorado Rockies. Paul Byrd, author of Free Byrd, broadcaster, and former major league pitcher (New York Mets 1995-1996, Atlanta Braves 1997-1998 and 2004, Philadelphia Phillies 1998-2001, Kansas City Royals 2001-2002, California Angels 2005, Cleveland Indians 2006-2008, and Boston Red Sox 2008-2009). "Twenty-five years ago I made a phone call to place an order with Quality Autographs. That was my first contact with Kevin Keating, the company’s owner. It was also the start of a friendship that ultimately enriched my life in ways I could not have imagined. Kevin's combined intellect, authenticity, people skills, and recall, make him a masterful storyteller. I've often reminisced about my time spent listening to these stories, sharing a few of my own, and even collaborating with Keats to create a few! This book brings me back to those times, puts a smile to my face and elicits an occasional out loud laugh as I recall moments shared with one of the most interesting people I've ever known. Waiting for a Sign chronicles an almost Forrest Gump-like journey, though in this case the journey and its stories are every bit as genuine as Kevin himself." Jerry Dipoto, Seattle Mariners General Manager and former major league pitcher (Cleveland Indians 1993-1994, New York Mets 1995-1996, and Colorado Rockies 1997-2000). "Kevin Keating didn't just collect autographs, he also collected the memories of his adventures getting them, including friendships with many of the sports legends who found themselves on the other end of his pen. These wonderful stories are a window into the lives of these great athletes not often seen by the general public, and they make for a terrific read. 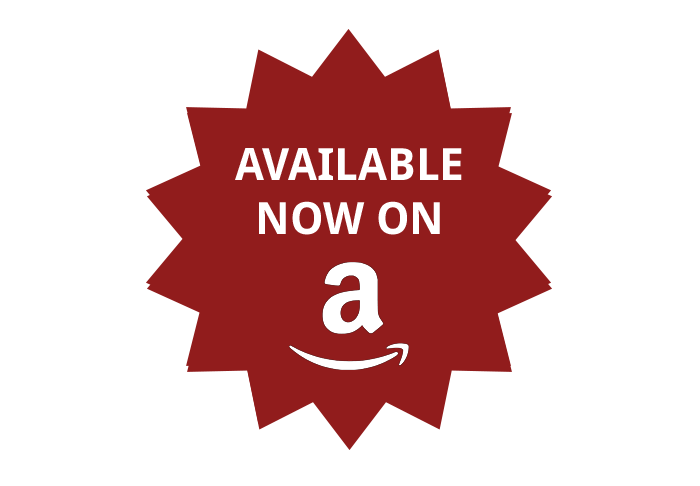 You don't have to be a collector, or even a sports fan, to enjoy this book, there's something here for everyone." Henry W. Thomas, author of "Walter Johnson: Baseball's Big Train." Ted Kubiak, member of the world champion Oakland Athletics 1972, 1973, and 1974, and author of E-6 (soon to be released). "Waiting for a Sign was a super great read! I learned things about not only the great players it highlights but also the history of baseball that I never knew. Kevin Keating did a fantastic job with this book and I’m looking forward to Volume II. You really need to read this!"